Nadia Nerina’s vitality and the quality described by Ninette de Valois as her “lovely, natural flow of movement” shine out from the images of her as a dancer and in the film footage made by Margaret Dale. In the season that marks the 60th anniversary of her becoming a Principal Dancer of Sadler’s Wells Ballet later The Royal Ballet, there is a unique opportunity to recall Nerina the dancer through a selection of the material about her career she collected herself. Thanks to the generosity of the Philip Loubser Foundation the Nadia Nerina Collection has been donated to the Royal Opera House. 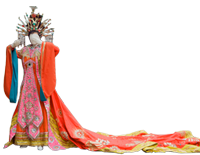 In addition the Foundation has paid for the conservation of the costumes, memorabilia and the cans of BBC film and has supported this free exhibition. Costumes, images and memorabilia will be on display and Lynne Wake, independent film maker, has been commissioned to create a short exhibition film interspersing footage of Nerina dancing with the memories of her contemporaries. The Royal Opera House is a working theatre so daytime visitors are asked to ring the ROH Box Office the day before visiting on +44 (0) 20 7304 4004 to check the exhibition areas are open.